This is the first time a medical conference is organized 100% online. We are determined to keep learning so we can improve in the organization of next conferences. Your opinion is very important for us. Please, fill in this short survey. #IOBMC2015 is over. Many doctors and health professionals around the world have taken part in this first edition of IOBMC. It has been a pleasure learning from all of them. Thank you very much to everyone who has participated. Very informative discussions have taken place in almost all medical fields. The diverse backgrounds and territorial distribution made this event an interesting exchange of knowledge and points of view. We have faced several technical difficulties and we have also made some mistakes. We want to say sorry for all these inconveniences. We have learnt a lot and we hope next edition will be much better. 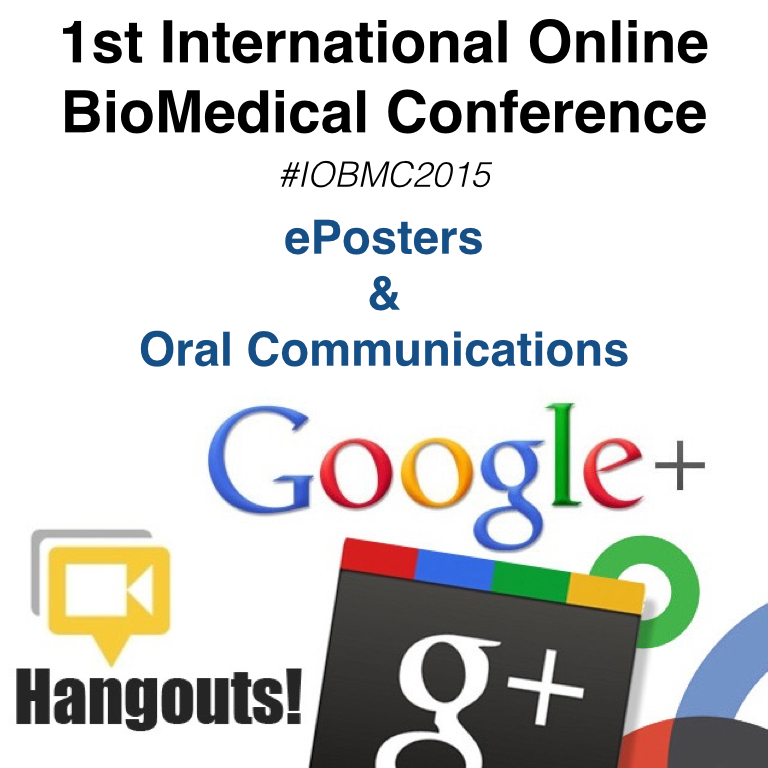 The 1st International Online BioMedical Conference (IOBMC 2015) will take place on September 10-13, 2015. IOBMC is one of the most innovative series of conferences and is being increasingly welcomed by medical & healthcare experts, researchers, professionals, students, and professors from around the world. Check the final program.